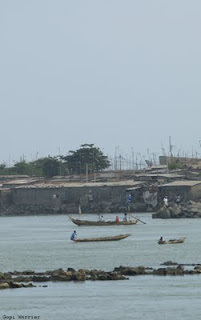 Cotonou city is built on a sand bank between Lake Nokue on the north and the Atlantic Ocean on the south. A channel that runs through the middle of the city links the lake with the ocean. 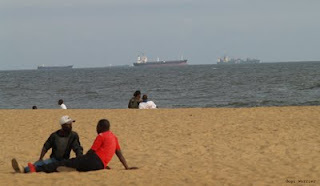 While the port is the gateway for imported goods to come into Benin, the lake provides livelihood for thousands of fishermen, and the beach has something for everyone. 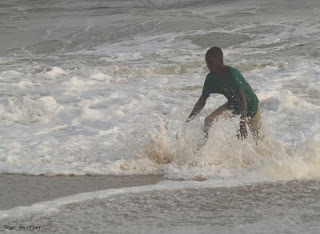 Gopi, I remember a picture at Nattika beach you posted some time back. 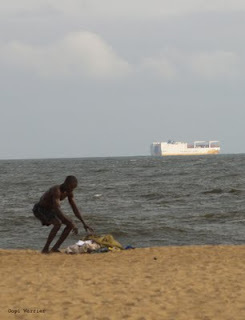 From Nattika to Cotonou.... quite a journey, isn't it?